It’s as simple as this: The more you sleep, the better you will swim. Here is the swimmer’s complete guide to getting more sleep so they can recover quickly and swim faster. More sleep = more swimming awesomeness. Sleep extension—getting 9-10 hours of sleep per night—can inflict serious improvement on performance in the water. 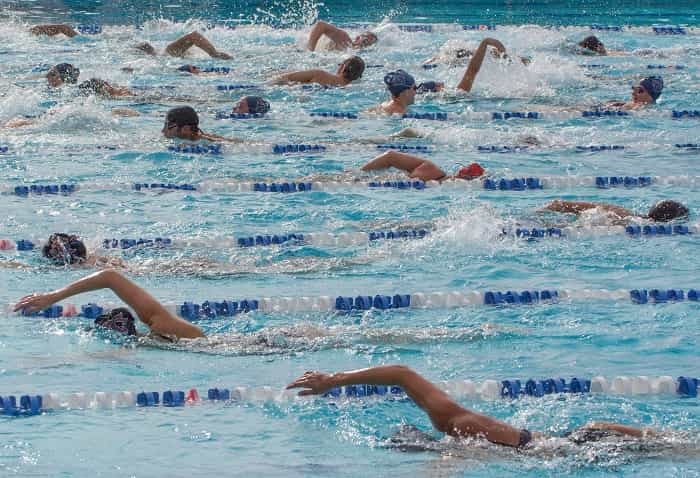 Most swimmers aren’t sleeping nearly enough. A study of elite Australian athletes found they were averaging just over 5 hours of sleep the night before morning workouts, and just over 7 hours on non-AM session days. Sleep deprivation blows. Beyond just being grumpy and moody, lack of sleep has been linked to all sorts of cognitive dysfunction in addition to all the performance downsides including reduced reaction time and power output. Did I mention how crabby some of us get? And while we might already get that sleep is like, super important and stuff, we are swimmers. We are busy! If we aren’t training, we are drying off towels while funneling pasta into our mouth. 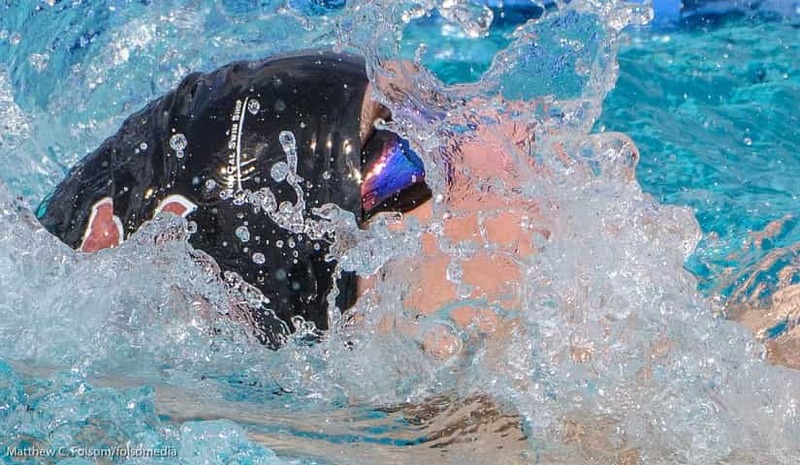 Today we are going to tackle a problem we all face—how to squeeze more time out of the swimmer’s hectic schedule for longer and deeper sleep. 1. Run your schedule, or it will run you. This is the real issue most swimmers have when it comes to getting a hold of their sleeping habits—getting a grip on their schedule. Look, I get it—doubles, ten training sessions a week, plus dryland, plus meets, plus commuting, and then there is school, work and what passes for a social life. But with some planning, some management, and some well-timed help you can get yourself to bed at a reasonable hour. Here are three things you can do to get a grip of your schedule. 1. Plan ahead for the time-crunchers. You already know when your time is going to be at its most premium. During exams, for instance. It’s not a big surprise. The shock and feeling overwhelmed comes when we let things stack up, putting them off for another day, until they all collapse onto one another at the same time. You know those stretches in your schedule where things will be tight—plan ahead of time so that you aren’t last-minuting everything. 2. Don’t wait until the last minute to ask for help. Student-swimmers, like most people, have a habit of letting things get to the brink of being too late before asking for help. If you have a support system in place use them! That’s what they are there for. Your teachers and coaches aren’t psychic and rarely will collude to make your schedule easier—it’s on you to bridge the two so that you can stay on top of things. 3. Set a cut-off time each night. While this won’t work for everyone, try establishing a firm cut-off time each evening for your studies. A curfew, if you will. The point of this self-imposed deadline is to give you a sense of urgency during the time that you do have in order to make the most of it. For example, you could set 10:15pm as your cut-off, at which point it’s time to unwind and launch into your pre-bedtime ritual. 2. De-stress each night with a gratitude list. One of the simplest ways you can get better sleep each night is to start using a gratitude journal each evening before bed. The benefits of gratitude have been shown over and over again in studies to make us more productive, more optimistic, and most importantly in terms of sleep habits, helps us to zap stress. Stress, being that mischievous and bratty little thing that it is, has a reliable way of disrupting even our best attempts at trying to get some z’s. After all, how many times have you been in bed, with the lights out, unable to doze off because you are freaked out about a big exam the next day. Or you are going over and over the blow-up you had with coach at practice. Or you catch yourself getting frustrated with a lack or progress in training. Having a daily gratitude list will lend context and perspective to the things that are stressing you out. This, in turn, will help you relax at night so you can go nighty night-night. 3. Create a mega sleep fortress and sleep longer and deeper. Think of your bed, your sheets, pillows and bedroom as your regenerative chamber. It’s literally where you go to recover and rejuvenate your body after the daily thrashings you give it. You can have the best nutrition and stretching program in the world, but if you aren’t getting quality sleep—where the real recovery is happening—than your good efforts are wasted. I have no qualms in admitting that I have black-out curtains up in my bedroom year round. I’ve made it so that my sleeping quarters resemble a Batcave. It doesn’t take a whole ton of light to make your melatonin and serotonin levels to go a little screwy, so box out those bright street lights, the light under your door, and power off the electronics that whinily blink at you. Ever notice that you tend to sleep a little better when you are slightly cool and all bundled up in your sheets? Don’t worry, you aren’t weird–according to research, a bedroom temperature of 16-19 degrees Celsius (60-68 degrees Fahrenheit) is ideal. The same research also found that a cool shower before bed can help increase the rate with which you pass out. I realize that this will fall mostly on deaf ears (and eyes), but playing around with your smartphone, tablet and/or television while in bed is a recipe for restless sleep. Avoid the urge to roll over and check your phone by plugging it in across the room (double whammy—makes you have to get up out of bed to turn it off if it’s also your alarm) and turning off the ringer and placing it face down. 4. Adjust your sleeping habits for maximum recovery. Okay, so you’ve lassoed your schedule. Constructed an environment that will help you pass out faster. And you’ve even added a little gratitude list to your training journal. Not only is napping scientifically proven to be highly enjoyable (in a survey of myself), but it can help mitigate the effects of a bad night of sleep. One study found that when participants took a 30-minute nap after a night of only 4 hours of sleep performance markers—including sprint speed and short term memory (“Where are my keys?”) significantly improved versus the groggy, non-napping participants. This is especially helpful information for those at swim meets—I always slept poorly in those hotel beds, and as such very much valued the time between prelims and finals to nap it out. The only tricky thing with naps is not doing it for so long that it disrupts your sleeping patterns at night-time so try to limit them to around half an hour. Stop hitting the snooze button. I know I am going to get push-back from this one: “But I need it, it’s how I wake up,” you’ll say. While it feels nice and dandy to lay in bed in half-sleep until the alarm starts its melodic crowing what you are actually doing is confusing the chlorinated heck out of your body. The second time it goes off you might notice that you feel even more tired, and more resistant to wanting to get out of bed. What happens each time you hit the snooze button and roll over you are starting over the sleep cycle. And the reason it gets harder and harder to fight off the alarm is that the early stages of sleep are deep. Fragmented sleep is far less restorative than taking in a solid, non-snooze-interrupted sleep, and will only leave you feeling more groggy and more irritable. When it comes to “performance enhancers” very rarely do we hear about getting more sleep. Or maybe we do, and we just block it out because we are more interested in a fancy new piece of swim gear, or the latest supplement, or the new “innovative” form of training. Better sleep is something that is available to us, and with a little bit of planning you can unleash longer, deeper sleep on your own training for faster recovery and faster swimming. Nutrition for Swimmers: The Ultimate Guide to Fueling Up Faster Swimming. 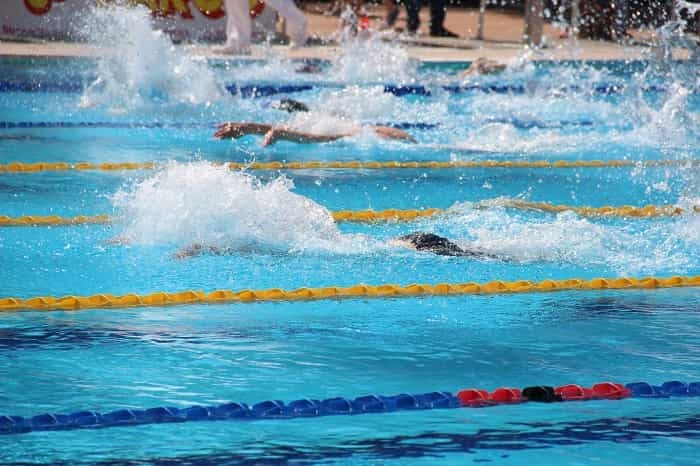 From creatine, to hydration, to eating tips for swimmers, here is everything you need to know about eating for high performance swimming. How Much Should Swimmers Sleep? Being properly rested has always been recognized as a fundamental part of our performance in the pool. Here is what you need to know about how much swimmers should sleep.